Here is some interesting information about Bob's posts. The posts themselves and not the content. He posted 77 times out of all 112 posts during that time. 69% of all posts. 5.5 posts / day. Caption: 5 consecutive posts. I think it's a new record! Congrats Bob! Glad to see you're back and in top form Opie. Get free from work and come use your free ride. Thanks OP for taking the time to recognize my contributions to a vibrant and informative forum!! This is an important time in the history of hang gliding, and the future of our sport will feel the impact of today's decisions for years ... maybe decades. So it's very important that we get it right. Thanks very much for recognizing my contributions to the process, and I hope you'll contribute some substantive content in addition to your statistical analysis of my writing. There is so much that I could say about your contributions to this forum. You've repeated them, ad vomitus and you don't get that it isn't getting you anywhere. I guess you just don't have anything better to do now that you're not flying. The SHGA has taken its stand; your rants are irrelevant. Refocus your time and save your money, Bob. Start your own insurance company, indemnify yourself for $1M and maybe we'll waive the USHPA membership just for you. Better yet, just give the SHGA the money and we'll let you slide any time you drive up here to fly. We'll even name the bathrooms after you. Jim wrote: We'll even name the bathrooms after you. That honor should be more appropriately reserved for those urging Sylmar members to flush their money down the toilet. Yes, we will name it, or more to the point, a roll of paper, in honor of BK pushing members to abandon good sense. Last edited by barton on Wed Jun 20, 2018 11:43 am, edited 1 time in total. The great thing about forums is they have a long memory. Shannon Hamby was badly injured by what I would consider the gross negligence of the Torrey Pines Concessionaire (that would be Robin J. Marien - "RJM" on this forum). Search for his rambling posts by user name (RJM) and see how various people on this forum (and this topic) cheered him on. He would be the guy who ended up contributing to this insurance fiasco. And ironically he will likely be one of the guys controlling the RRG and deciding who can fly and who can't ... at Sylmar. Joke about toilet paper all you want. It won't fix Shannon's injuries and it won't fix what's happened to the sport of hang gliding in these past 5 years. Sylmar members, this is not a joking matter. You can continue to flush the sport down the toilet by following the clowns or you can step up for a brighter future. Please feel free to contact me any time. He doesn't fly here, yet dominates our forum. I don't see what's wrong with kitestrings.org. It seems the place for weirdos whom used to fly go to die. 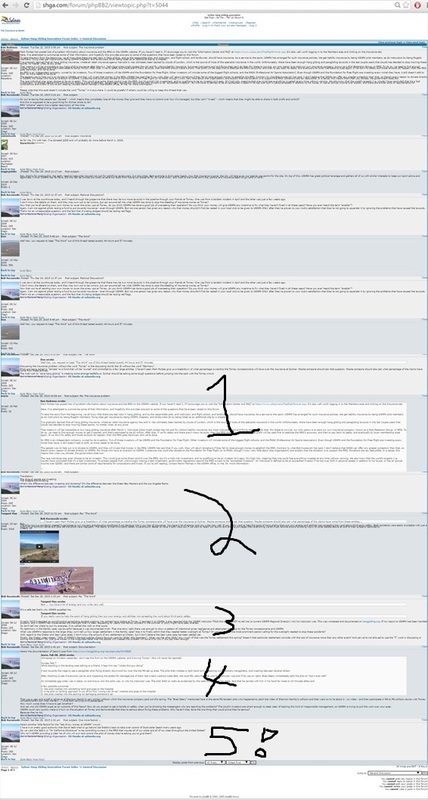 OP wrote: He doesn't fly here, yet dominates our forum. Hi OP. I'm just one spokesman for an idea that USHPA is trying to sweep under the carpet. The idea is that clubs pool their money locally to purchase (or participate in) insurance on their own terms. Why are you so desperately against that idea? As far as flying at Sylmar, I've flown there on and off for the last 10 years. I believe one of the things USHPA hoped to accomplish with their expulsion was to attempt to separate me from the pilot community by keeping me from flying. What other reason was there to expel me? Really, what other reason did they have? And while we're on that topic, it's interesting that one of the female Directors had a very insightful observation during my hearing. She basically asked if expelling me would keep me from doing any of the things they didn't like (speaking to the San Diego City Council, asserting my rights to use our public park, speaking to the press, posting on forums, starting the US Hawks, etc). The flip side of her question was whether I had committed any flying violations worthy of removing my flying. Mark Forbes essentially answered those questions with "Weeelllll ... no ... but we want to expel him anyway". Forbes led the charge and pushed it through. That's the kind of "leadership" you have at the helm of this RRG. I see what you are trying to do. I'm actually sympathetic with your cause at Torrey. Thugs who are open and notorious about their disregard for safety. Just with this insurance thing, doesn't seem you are gaining any traction here. You've must have already made your best argument by now. Try http://www.tennesseetreetoppers.org/ or http://www.flyfunston.org/ or somewhere else. You might have better luck. OP wrote: I see what you are trying to do. 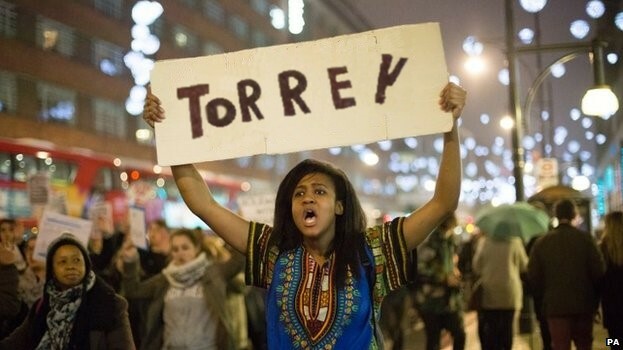 I'm actually sympathetic with your cause at Torrey. Thugs who are open and notorious about their disregard for safety. Just with this insurance thing, doesn't seem you are gaining any traction here. You've must have already made your best argument by now. Try http://www.tennesseetreetoppers.org/ or http://www.flyfunston.org/ or somewhere else. You might have better luck. Sadly, OP, I do fear that you are right. I suspect that USHPA has already gotten the commitments from the big schools to pony up whatever it takes in the end. I suspect that part of the deal was that USHPA would try to milk the members for everything they've got first to save a few bucks for their buddies. So I do think this RRG is going to go through, and I do think this will only tighten the control that certain entities have over the sport. But one of the philosophies that I've adopted in life is to do what I think is right regardless of whether it seems popular or not. It's certainly the road less travelled, and it's a bumpy road at that. I've sent you a PM inviting a phone call. I'd be happy to talk to you any time. I might even try to make it to Sylmar sometime soon ... I've been needing a good lynching. barton wrote: You know I still fly, right. Even at Torrey, just ask BLM, he saw me there a few weeks ago. I thought that old burned out hippie looked familiar (only kidding). I wanted to step up onto the grass to shake your hand, but my expulsion from USHPA prohibits even that. I try not to take all of this personally, but I am surprised that a free spirit such as yourself would be backing the expulsion of pilots without due process (no witnesses, no defense representation, no references to any rules broken, etc). I guess politics does make strange bedfellows. barton wrote: â€™ve seen you lie through your teeth about flying beyond the boundaries as stated in the rules at Torrey, i.e flying north of the bathtub, regret I didnâ€™t call you on it the day Robin was drillin you for that, so I know you are not a saint, by any stretch of the imagination. I just didnâ€™t want to get involved in your delusional perception that you were above the rules of authorized airspace. If I only was flying with a camera that day, could I show you, you were way over the lineâ€¦. This is why our justice system allows for cross-examination of witnesses rather than just hanging people accused of being witches. I know that I've had a target on my back for years at Torrey, and I am as careful as I can possibly be about not breaking any rules - no matter how small. That's why USHPA had nothing they could pin on me during the expulsion. The incident that I believe you're referring to was a situation where Joe Spinney (you may know him) was flying north of bathtub rock, and I was not. We both had primarily white gliders with reddish orange leading edges and I was accused of having crossed that line. I mentioned it to Joe Spinney, and he 'fessed up to Robin and no action was taken against me - otherwise they'd have surely kicked me out years ago ... and they couldn't because I hadn't done the crime. I'll take an apology any time for the accusation of violating the rules and being called a liar. Thanks. Last edited by barton on Wed Jun 20, 2018 11:44 am, edited 1 time in total. barton wrote: go ahead n hold your breath, i stand by my statement, i know your glider with the droopy camera boom any day.... if you could only see into the mirror, maybe even that would not help you see what you have become. I think you've just indicted yourself Barton!!! I don't have a "droopy camera boom". I've never had a "droopy camera boom"!!! I have a tiny little device that attaches the camera about an inch from the bar that it's wrapped around. Call Joe Spinney. I think he'll remember the incident. Let me know if you need his number. Barton, as with the hang glider tie downs, you've called me a liar on false evidence. Anyone can make a mistake, and I'm a pretty forgiving person. But when you're confronted with the mistake and continue to slander an innocent person ... well that's another matter. I'm hoping you're thoughtful enough to consider what I've written. Pace your self Bob. I think if you keep it up, we'll all change our minds. I think that we are hogging you though. We want to share. Go tell http://www.crestlinesoaring.org/ your gospel as well. This turned out to be a useful topic after all. So for 5 years Barton has been harboring the misconception that I violated rules at Torrey. And not once in those 5 years did he pick up the phone to ask about it. Instead he goes around calling me a liar and spreading the slander that I've violated rules at Torrey. This is another clue as to why USHPA has become uninsurable. Any aviation sport that doesn't value and seek truth is doomed. Gravity pays no attention to the rumor mill, and Shannon's collision is proof. Barton, if you feel like apologizing and fixing the damage you've done, I would appreciate it ... but I'll take your advice and not hold my breath.